Our story begun when Terry Morris, Queensland entrepreneur and businessman, was in Victoria attending a dinner party with friends. 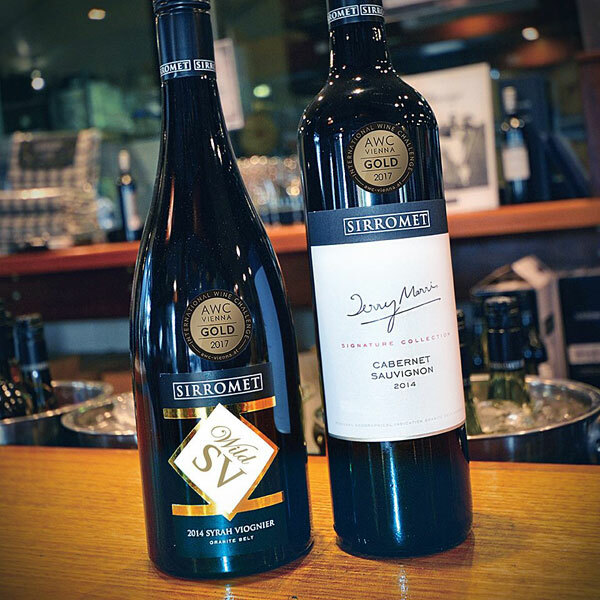 Terry mentioned that he had tried a great wine from Queensland’s Granite Belt to which his Victorian friends laughed and said “There’s no such thing as a great wine from Queensland.” This was the spark that Terry needed to create his vision for Sirromet. Terry chose land in the Granite Belt Region renowned for its unique combination of rich soil, high altitude and cool climate, providing the perfect location for growing grapes. 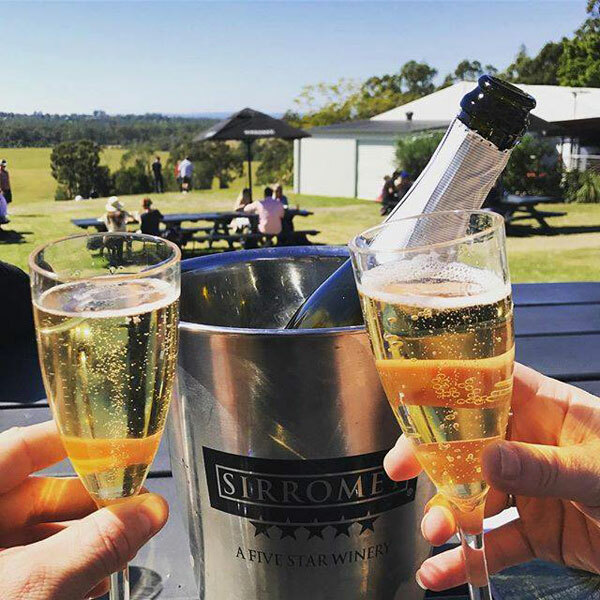 Sirromet Winery is located at picturesque Mount Cotton, just a short drive from Brisbane and the Gold Coast, Sirromet’s state of the art facilities offers food and wine lovers the ultimate winery experience. 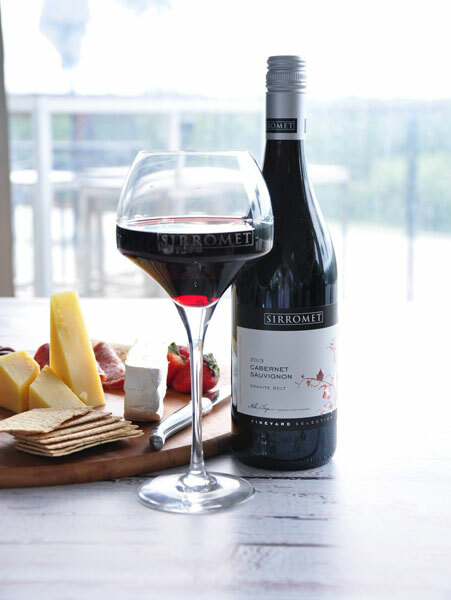 Utilising traditional methods and new technology, Sirromet produce exquisite quality Granite Belt wines recognised on the world stage and are proud to have collected over 860 prestigious national and international wine awards to date. With award-winning wines, great food and beautiful surroundings, there is no better place to spend the day than Sirromet’s Cellar Door. Savour a glass of your favourite Sirromet wine with a café style meal or platter whilst enjoying live music. Menu of teas, coffee, selection of cakes and vineyard platters available 7 days. Package available for lunch Wednesday to Sunday at Cellar Door – Bookings required. Designed for groups of 10 or more with platters to share. A great way to be able to reserve a table alfresco style at Cellar Door. 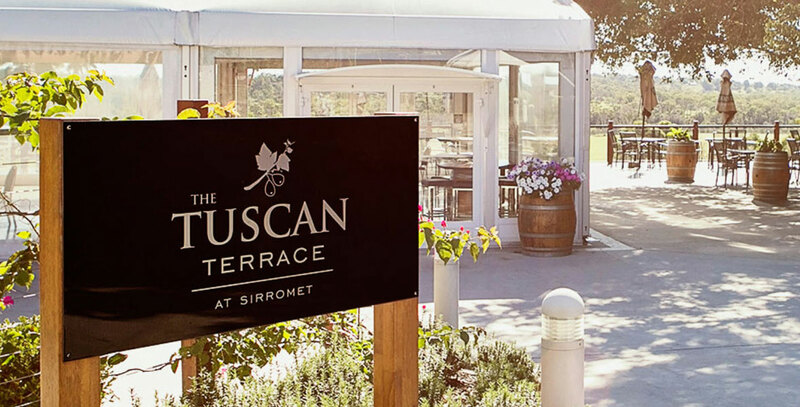 Sirromet winery offers a variety of dining options from fine dining in the award winning Restaurant Lurleen’s to café style dining in the Tuscan inspired terrace or Cellar Door. 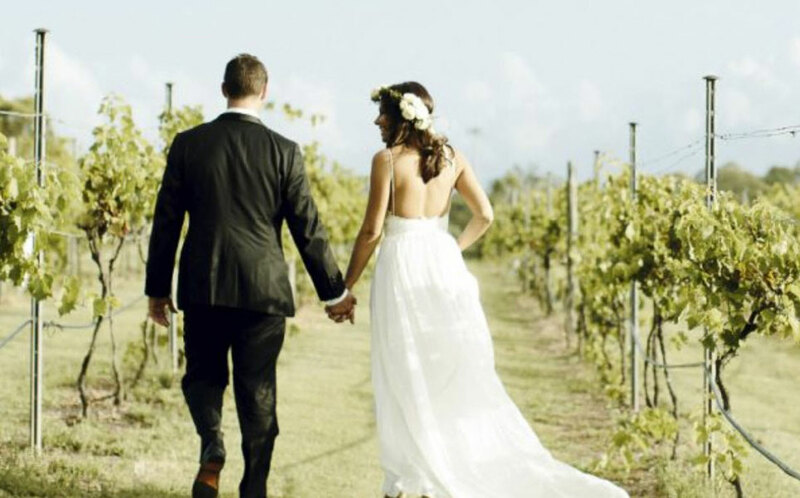 All enjoy the natural structure and unique architecture of the winery’s buildings with breathtaking scenery surrounding Moreton Bay. All menus are prepared by executive and celebrity chef, Andrew Mirosch. With almost 30 years of industry experience and a very impressive collection of awards, Andrew is well known to locals and fine food fans throughout Australia. Having worked as a commercial fisherman, Andrew has a passion for fresh local seafood, which is reflected on Restaurant Lurleen’s modern seasonal menu. With 100 hectares under vine, Sirrromet’s vineyards are located in the high altitude of Queensland’s Granite Belt region. Situated 600-1500 metres above sea level and approximately three hours drive south west of Brisbane, “The Granite Belt is one of the most exciting wine destinations in the country” Max Allen, The Weekend Australian. The Granite Belt was formed by an ancient tectonic uplift that forced a significant Granite Mass 820m above sea level. Over time, softer rocks and soils have eroded, leaving a clearly identifiable Granite Plateau. Due to its elevation, this plateau experiences some of Australia’s coldest winters. The sub-zero temperatures cause water that has been absorbed in exposed granite boulders and rocks to freeze and expand, forcing mineral particles into the soil. This annual soil enrichment allows local vineyards and orchards to grow the highest quality produce with unique, rich flavours. 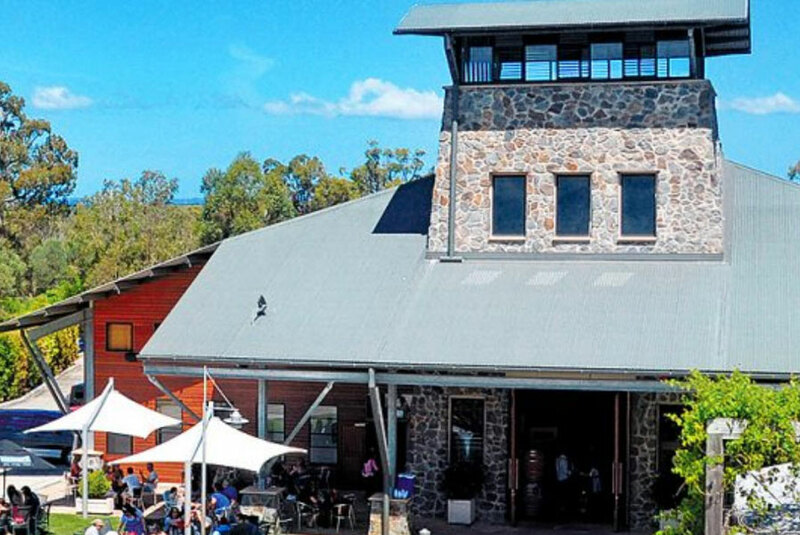 Located at Mount Cotton, just 30 minutes from Brisbane and the Gold Coast, the natural structure and unique architecture of the winery’s buildings are a perfect complement to the breathtaking scenery surrounding Moreton Bay. Here, in our state-of-the-art winery, our chief winemaker – Adam Chapman – and expert team combine their skills to produce our multi award winning wines. Take a fully guided tour to see first-hand how our wines are made, followed by a leisurely wine tasting in our Cellar Door. Prepared by executive and celebrity chef, Andrew Mirosch, experience fine dining at its best at the award winning Restaurant Lurleen’s or for a more casual setting enjoy our Tuscan inspired menu at the Tuscan Terrace or light lunch at Cellar Door. A visit to Sirromet is a promise of new adventures, new friendships and wonderful new discoveries.